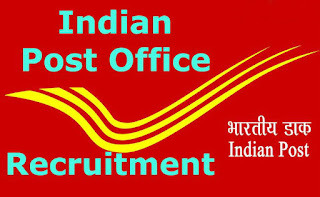 Postal Circle has released their recruitment details for freshers and experienced candidates. Want to apply for it? Here we have updated all complete information. Check below all details. (1) The candidate should pass 10th standard (Matric) / Secondary School Examination with Mathematics and English as compulsory or elective subjects from approved state boards by the respective State Government / Central Government. (2) Compulsory knowledge of Local Language (Odia). Candidates should have studied the local language at least up to 10th standard. (3) Computer Knowledge - The candidate should have computer knowledge and will be required to furnish basic computer training certificate for at least 60 days from a recognized Computer Training Institute. Certificates from Central Government/ State Government/ University/ Boards etc., will also be acceptable for this purpose. This requirement of basic computer knowledge certificate shall be relaxable in cases where a candidate has studied computer as a subject in Class X or Class XII or higher educational qualification provided the candidate submits a certificate of Class X or Class XII or higher educational qualification in which he/she has studied computer as a subject. Selection Process: Selection will be made as per the automatic generated merit list as per the rules based on the candidates online submitted applications. No weightage will be given for higher educational qualification. Only marks obtained in 10th standard of approved Boards aggregated to percentage to the accuracy of 4 decimals will be the criteria for finalizing the selection. Passing of all the subjects as per the respective approved board norms is mandatory for taking candidate into account for calculating the merit. A candidate can apply for a maximum of twenty posts as per cycle of online engagement. Applicant of category OC/ OBC/ EWS Male should pay a fee of ₹ 100/- for each set of five options. The Candidate who requires to make the payment has to visit any Head Post Office to make the payment OR The applicant can also pay the fee through online mode of payment using Credit/Debit cards and Net Banking facility. The fee is exempted for all Female and PWD category candidates. Applicant can register Online Application Form through India Post Online Recruitment Portal. The last date for submission of online applications is 15/04/2019. Help Desk: Help Desk number for Odisha Circle : 0674-2390816 / 2394533. All queries of candidates may be mailed to adest-odi@indiapost.gov.in and queries related to website may be given to dopgdsenquiry@gmail.com. 18 – 25 Years. Age Relaxation as per Govt. Rules. ₹ 18000/- in level 1 of the pay matrix as per 7th CPC + admissible allowances as prescribed from time to time. Graduation or Qualification: Matriculation or ITI from Govt. Recognized Boards. The Examination fee prescribed for all male applicants in General and OBC categories is ₹ 400/-. Candidates belonging to Scheduled Castes (SC) / Scheduled Tribes (ST) / Physically Impaired/ Women are exempted from payment of Examination Fee. Exam Fee: The Examination fee prescribed for all male applicants in General and OBC categories is ₹ 400/-. There is no fee for SC / ST / Physically Impaired / Women are exempted from payment of Examination Fee. The last date for submission of application is 20th February 2017. How to Apply: Eligible Interested candidates are required to Apply Online through Odisha Postal Careers. One applicant has to submit only one application.odisha.techqueries@postalcareers.in.